Woolen throw with an aari embroidery. RED HALO is a collection of household linen based in Benaras (Varanasi – India) providing work to people who were living with difficulties and education to children. Nicaise is wrapped in a woolen scarf with a red Aari embroidery. 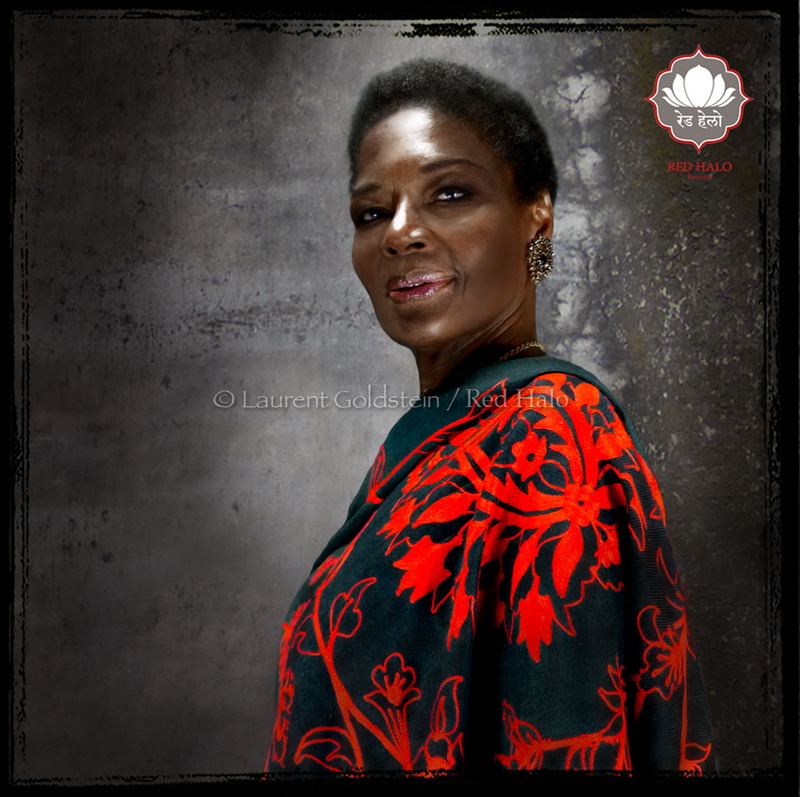 The iconic French actress and model Nicaise Jean-Louis has kindly accepted to pose for Red Halo in order to support our social work. This is a picture of a RED HALO woolen scarf with Aari embroidery. Jonathan is holding a “Heart” with a Zardozi embroidery from the RED HALO collection. He wants to perform on theatre stage on the footsteps of his family. 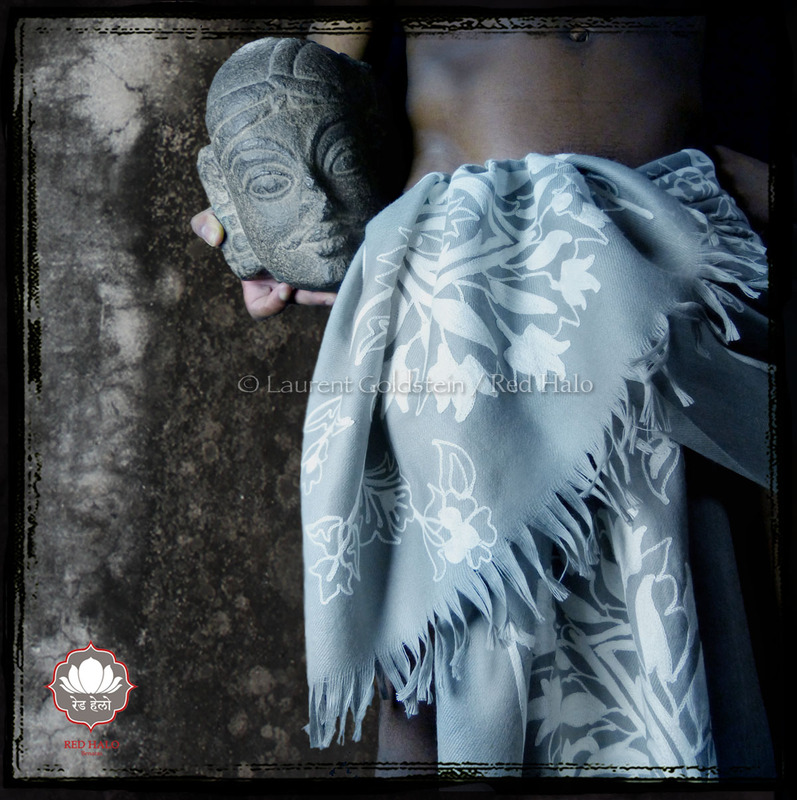 Anand is wearing a kantha silk scarf made with a hand embroidery. Each scarf is unique and made in a silk saree. 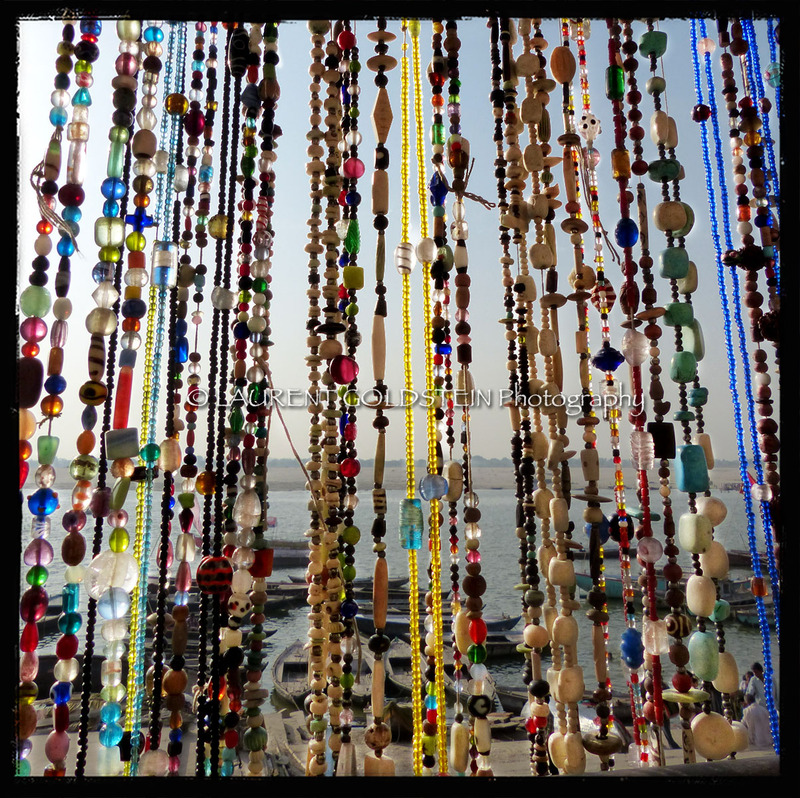 This is a view of the Ganges in Varanasi (Benaras) through a few strings of beads. It was shot last morning around around 5:30 just after sunrise at Dashashwamedh Ghat.